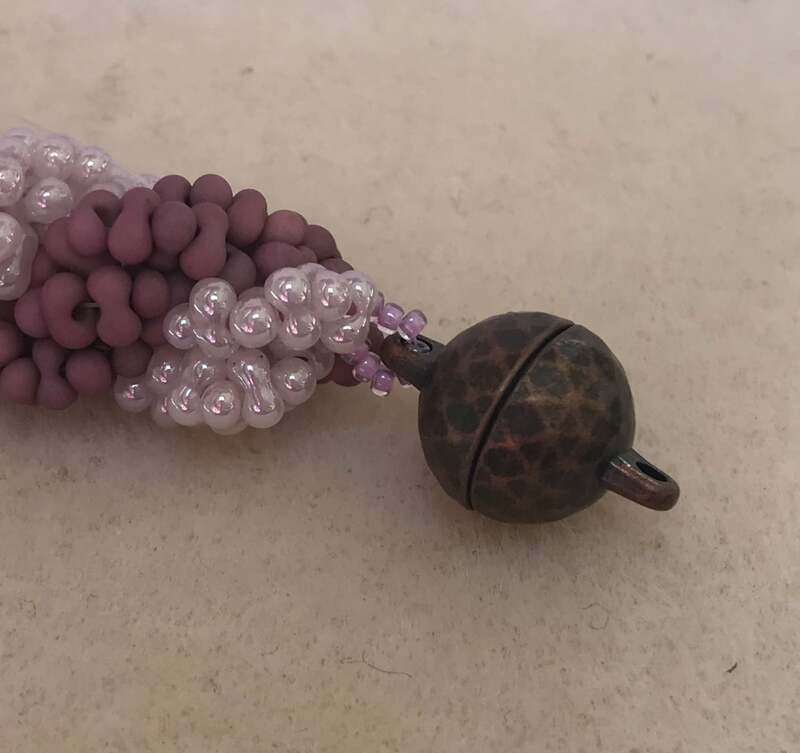 This lovely bracelet uses peanut beads in a basic double spiral rope pattern, it’s easy to make so it’s perfect for beginners. 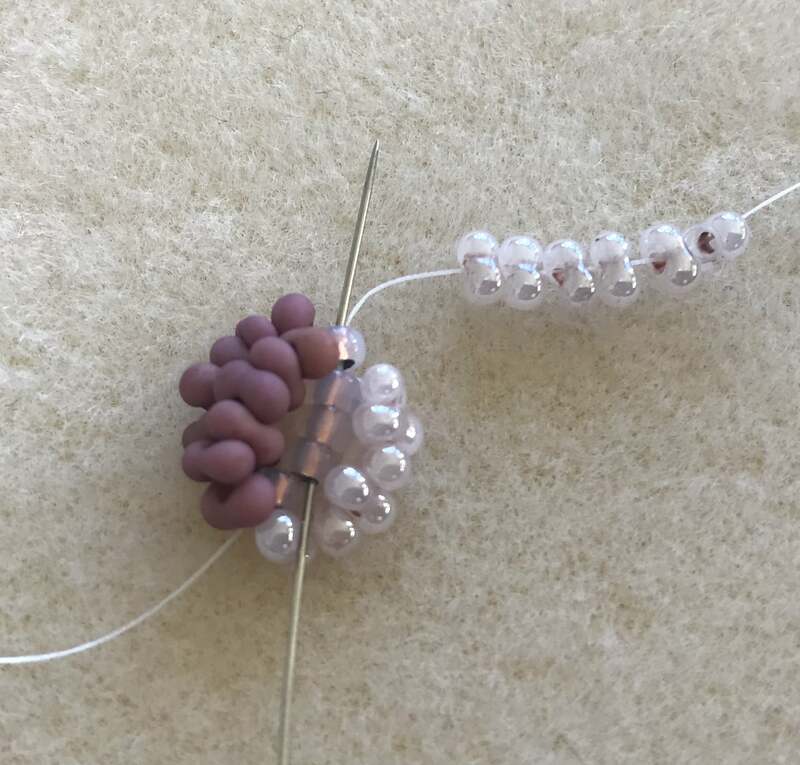 Tip: When doing double spiral stitch remember not to pull your beadwork too tight – if you pull your beadwork tight you’ll find that it becomes very difficult to pass your needle up through the spine of your work – so remember bead this stitch with a loose tension. 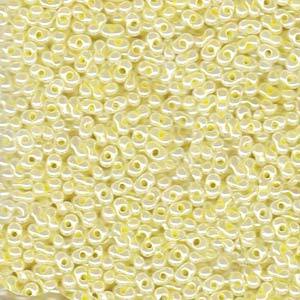 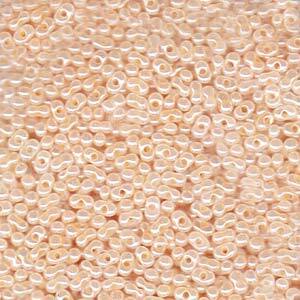 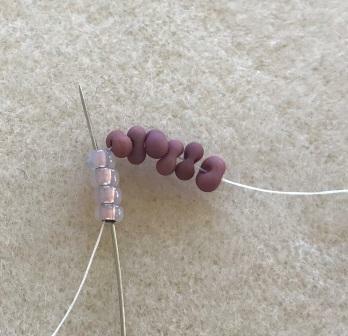 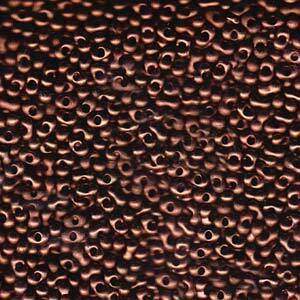 To get started, cut a comfortable length of beading thread. 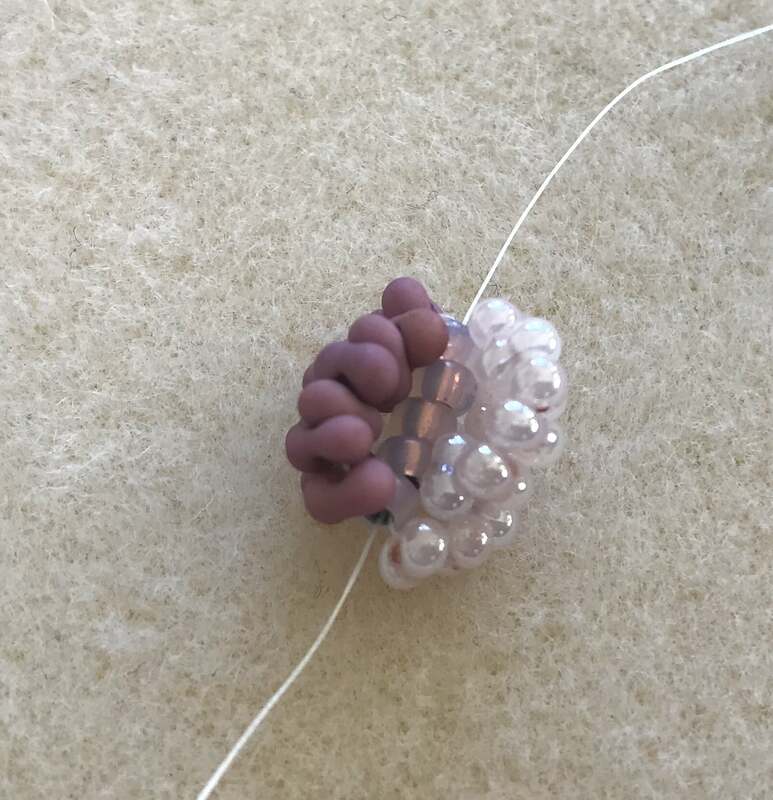 Use as long a length of thread as you are comfortable with and string on your needle. 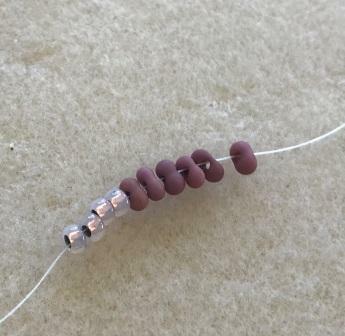 String a stop bead on one end, leaving at least a 6″ tail. 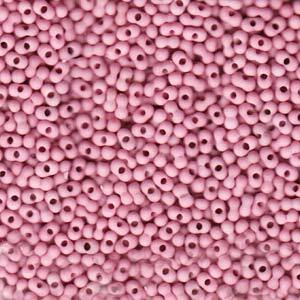 Pick up 4 8/0, 6 Peanuts in colour A and stitch back up through the 4 8/0. 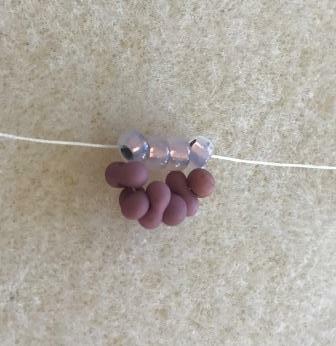 Pick up 6 Peanuts in colour B and stitch back up through the 4 8/0. 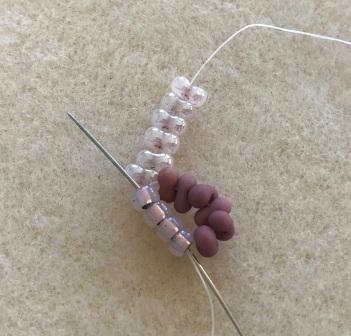 For each double spiral stitch, you will be keeping the stitches of the same colour together. 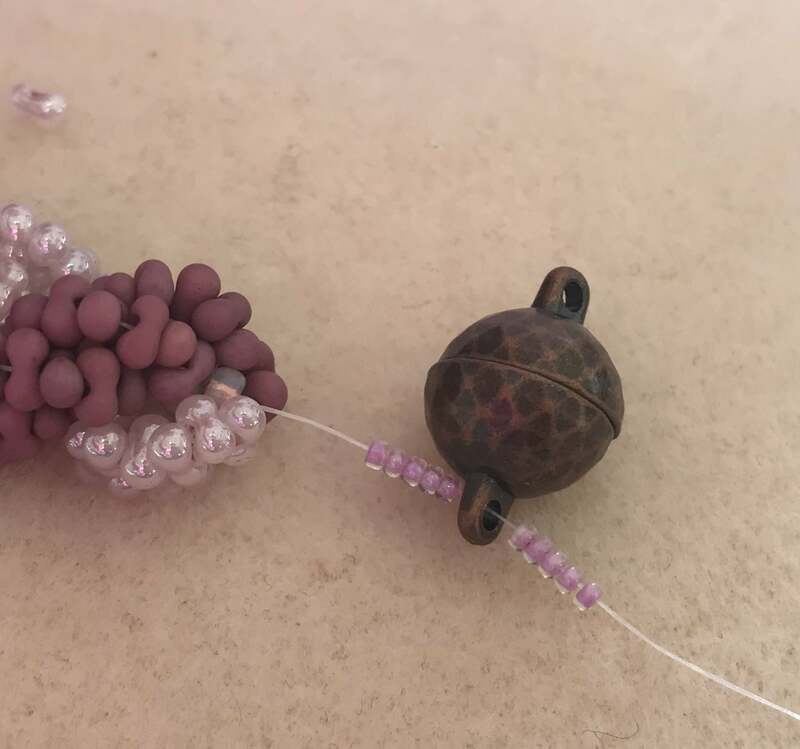 To start, you will have one colour on the right side of the spine beads and the other spiral colour on the left side as shown in the picture below. 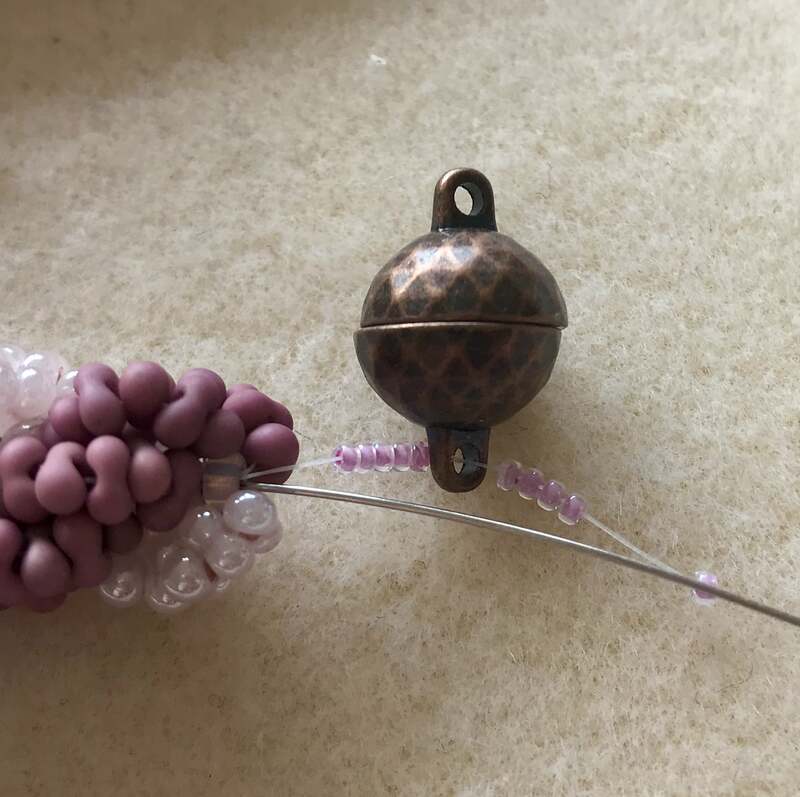 Pick up 1 8/0, 6 Peanuts (A) and stitch back up through the last 4 8/0 added (this includes the last one you just threaded), pull it through and lay these Peanut beads on top of the last loop of A coloured Peanut beads. 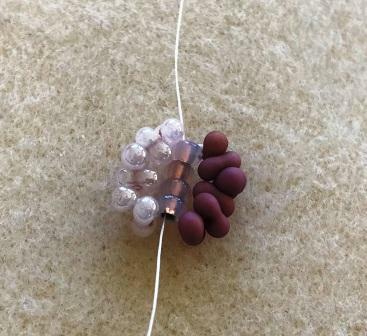 Now flip your beadwork over so that the Peanut beads in colour B are on the right of your work. 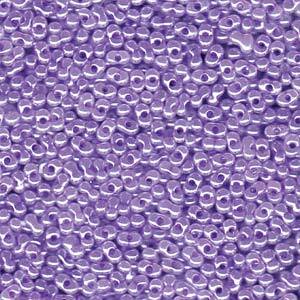 Pick up 6 Peanuts in colour B and stitch back up through the last 4 8/0 added. 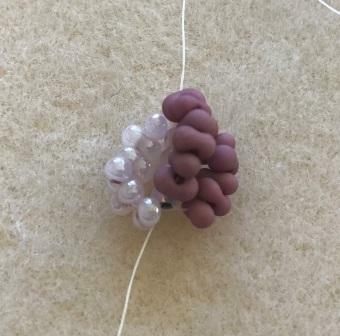 Lay the Peanut beads down on top of the first loop of colour B peanut beads. 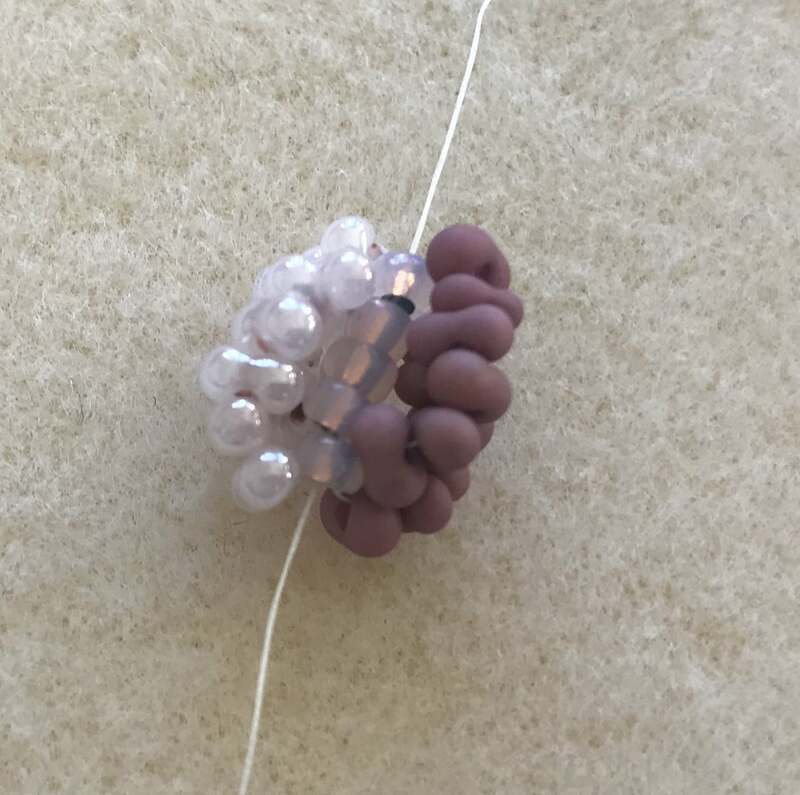 Flip the beadwork over again so that the colour A Peanut beads are on the right again. 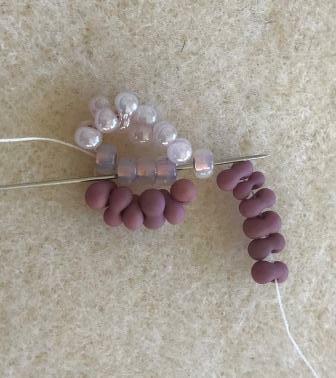 Now repeat steps 5 – 8 until your beadwork is the desired length. 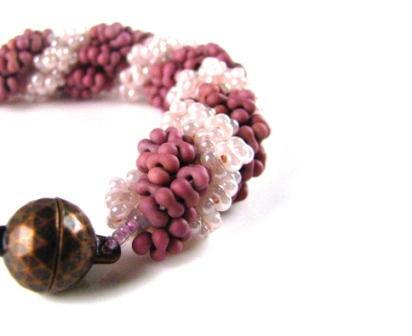 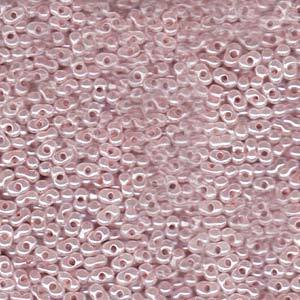 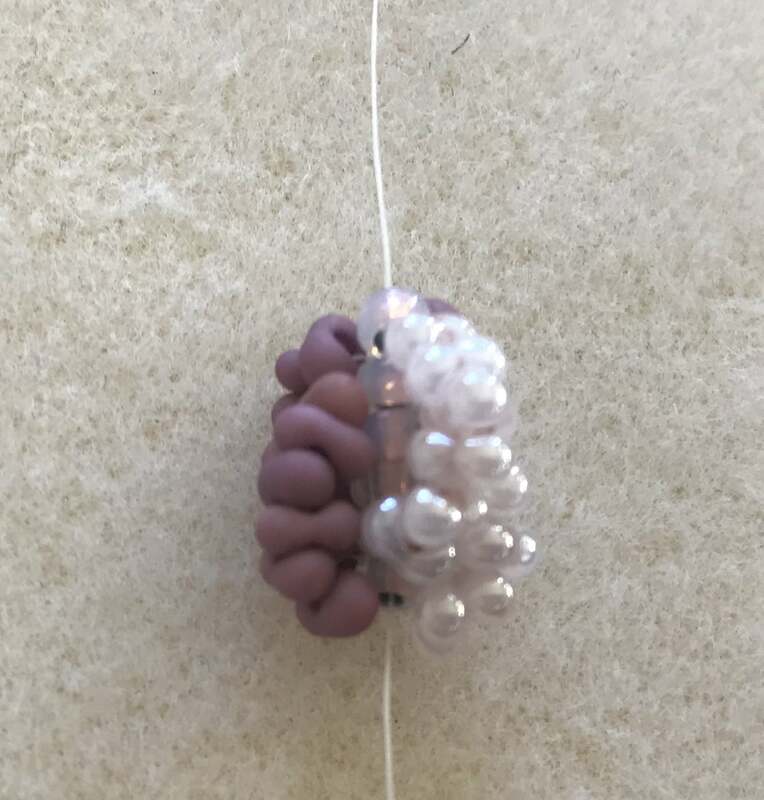 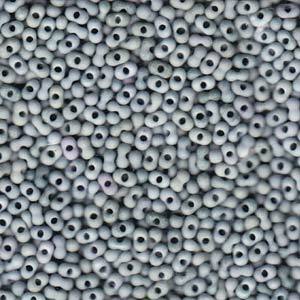 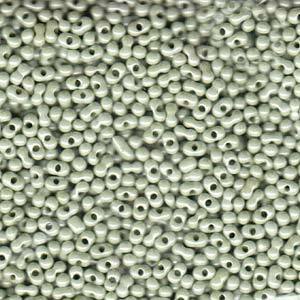 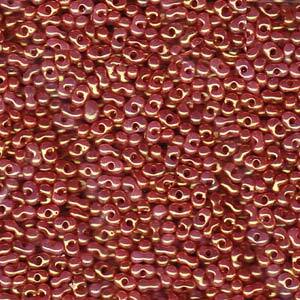 To add the clasp pick up 5 15/0 seed beads, one half of your clasp and 5 more 15/0 seed beads.